Payza is one of the most popular and most used online wallets (online payment processors) besides PayPal and SolidTrustPay. 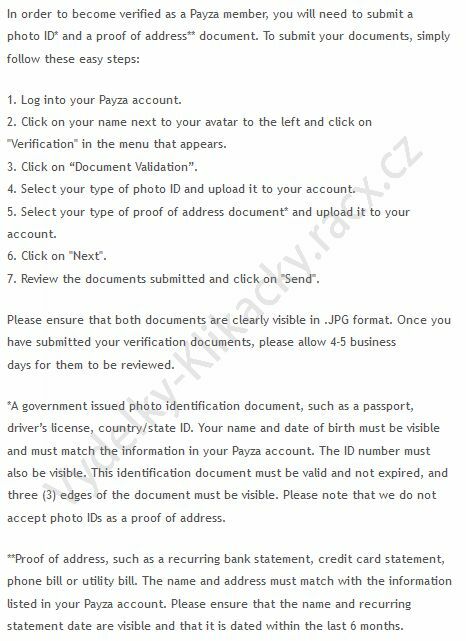 Many of you tried to figure out how to verify Payza account. It is not that easy. Payza changed the rules of verifying accounts. So how to verify Payza account according to the new rules? People that have a new Payza account found out that for opening the possibility of verifying the account you need to make a volume of transactions of $500 in total. For many people this is a very high amount. Many of you ask if this is true and if there are not other options. Because having a verified Payza account is a condition to get your payment from many PTC sites. Unfortunately, Payza really requires the $500 and does not offer other options. Send and/or receive money in total value of $500. Example 1: top up your account by $250 and send $250 to a friend. Example 2: top up your account by $150. Buy some adpacks with shares on some revenue share site for $150 (like MXWorld). Cash out $200 from MXWorld. MXWorld does not require verified Payza account. When the total of all transactions on your account reaches $500 the possibility to upload documents for account verification will be opened. You do not have the possibility to verify your Payza account? Then you can create an account with another payment processor called SolidTrustPay. 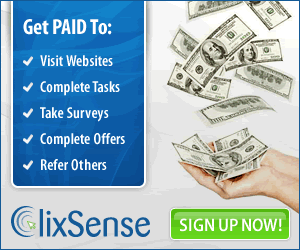 SolidTrustPay is widely used on PTC sites, revenue share sites and other similar sites nowadays. The verification here requires roughly the same things like at Payza but you do not need to reach any transaction amount. Therefore, you can verify your account right after you create your account. Just like at Payza, at SolidTrustPay you can send money directly to your bank account. The total fees are almost the same too. The fees for sending your money to your bank account are €6 (if you send money in €). The time needed for your money to arrive to your bank account is also similar: 3 – 5 days.